When you’re ready to fall in love with Porsche, or perhaps fall deeper in love, come visit our Porsche Bend showroom. Our dealership is conveniently located at 1055 SE 3rd St in Bend, OR 97702. We are only a short drive away from the surrounding communities of Eugene, Medford, Redmond, and Prineville. While you’re here, allow us to take you for a test drive in a brand new 2018 Porsche 911, a 2018 Porsche Macan, or a 2018 Porsche Cayenne. From the iconic race car quality of the 911 Carrera to the spacious and versatile Macan and Cayenne, you’re going to have a difficult time choosing a favorite. We have a magnificent selection of new and pre-owned Porsche models here at Kendall and would love to help you find the perfect one for your driveway. Begin your search by browsing our brand new Porsche dealership inventory and our pre-owned cars in Bend inventory. If you have trouble finding what you’re looking for or have any questions, feel free to contact us online or over the phone. Our knowledgeable and friendly team of Porsche professionals will be waiting to assist you throughout your luxury vehicle purchasing experience and beyond. 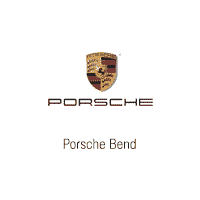 Our mission at Porsche Bend is simple: To deliver an unrivaled customer experience. Through our highly motivated, knowledgeable, and caring team of professionals, we pledge to listen and respect your needs. Doing the right thing means more than selling and servicing vehicles. Our progressive attitude means being exceptional stewards of the communities we operate, as well as the environment. It means going above and beyond every day for the people who mean so much to us–our customers.